Orlando Castro was born and developed his artistic talents in Hermosillo, Sonora, Mexico. He has been performing professionally since 17 years of age in classical, jazz, Afro-Cuban and all Latin American styles. Orlando is a successful singer, guitarist, harmonica player and Afro-Cuban Percussionist and has had many performances in Mexico and throughout Latin America. In addition to his performing career, he shares his time and talent teaching the youth throughout Mexico and California where he was for many years the Music Director of Rondalla Alisal and Executive Director of the Alisal Center for the Fine Arts. Beginning this year, Orlando has taken the position of Music Director for the Mexican Heritage Arts Corporation, leading music education to schools throughout the bay area with a cultural and folkloric emphasis. 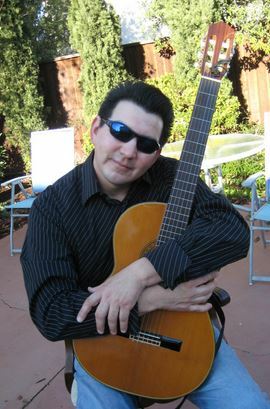 Orlando Castro is also an accomplished songwriter having penned songs for Luis Miguel, two of which were on the breakthrough album, "Aries" (WEA 1993), which won the 1994 Grammy Award for best "Latin Pop Album." Additionally, Tower of Power played on "Que Nivel De Mujer", yet another one of Orlando's songs on the "Aries" album. That same year, Orlando won the coveted BMI's 1994 Song Of The Year award for the song, "Suave", sung by Luis Miguel. During the same interval in Spain his songs were listed #11 on the billboard and also peaked at #1 in Argentina with a Platinum Album. As a solo artist and interpreter of his own works, Orlando is bursting with energy and passion with full voice and sounds that include his virtuosic harmonica playing accompanied by his own guitar. In his latest concert on May 25, 2012, CNN i-Report, wrote, "singer-songwriter Orlando Castro thrilled and captivated the audience with his show "Cuando mi Tierra me Llama."